The Winkfield Row May Day Fair will be returning again on Bank Holiday Monday 6th May, from 12-4pm at Carnation Hall on Chavey Down Road. This community run event will host lots of stalls from local charities, community groups and individuals with goods and activities for all ages, as well as hot and cold food and entertainment. This year's surplus funds raised will be split between Winkfield St.Mary's Primary School and Cranbourne Primary School, who have both supported the event for many years. Full event details at www.facebook.com/winkfieldrowfair. Click on the links below for 2019 editions of the Parish Mag, or on the buttons above for previous years' editions. Click on a red button above to find regular parish events, or Service or Parish Diary information. To right are flyers for future events. If you would like to contribute to the support of the Parish Magazine and its delivery to doorsteps within the parish, please use the donations and subscriptions information linked here. Articles for publication are welcome from anybody. The deadline for articles in each magazine is normally (but see below) the 10th of each month in which the magazine is published. Please be aware that the collation dates before the 25th day of the month can put an untenable squeeze on the editorial work, so we may well have to bring the deadline for editorial material forward by two or three days for such months. You can contact the editors using the address, telephone number or email address below. 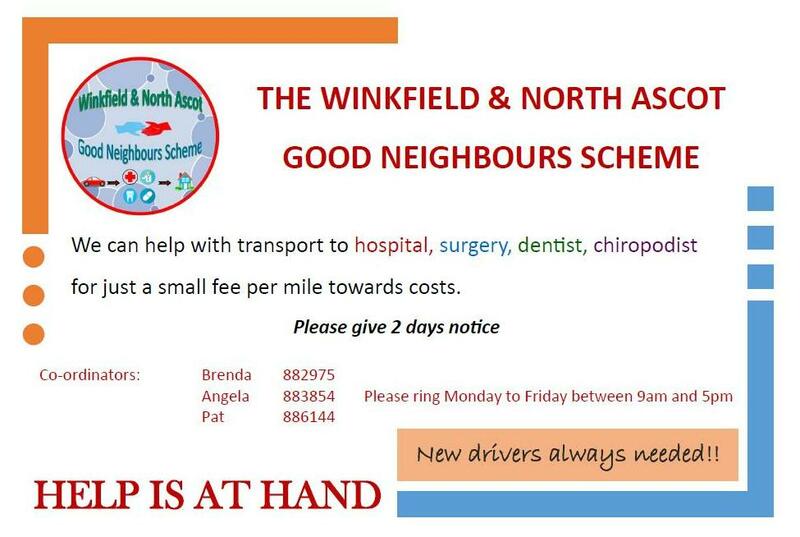 The Winkfield Parish News belongs to and supports the Winkfield Parish directly, and is not a publication of the Friends of St Mary's Winkfield although the Friends sponsor the Parish Mag by hosting the online Winkfield Parish News on their website. Ascot Matters promotes a wide range of community events.